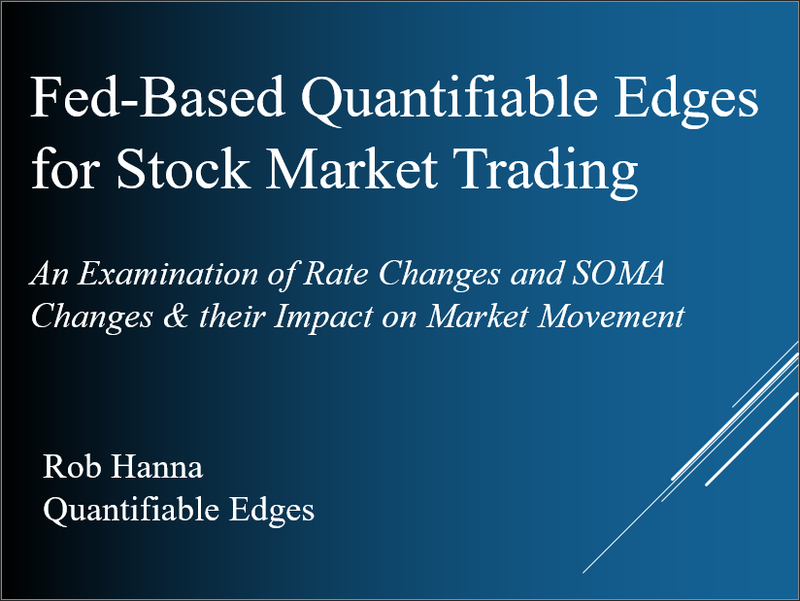 Wednesday is a Fed Day, which is defined as a day that a scheduled Fed meeting concludes and policy statements are released. Fed Days occur 8 times per year. 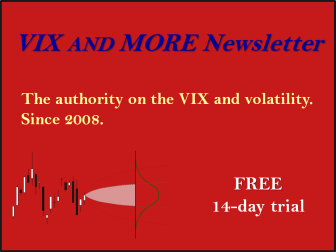 Since 1982 they have shown a strong bullish propensity. 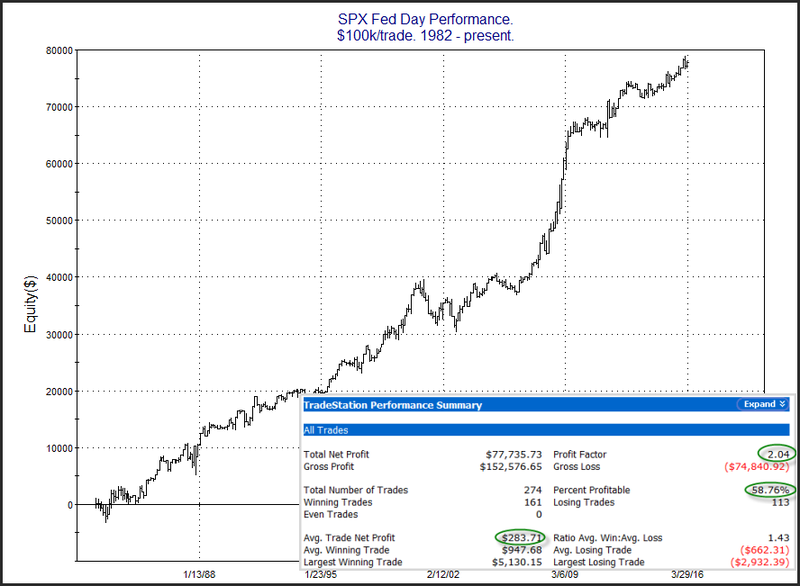 The chart below is one I showed many years ago, but had not updated in a while. I decided to do so today. For some comparison, the average Fed Day has gained over 9x the amount of the average non-Fed Day. 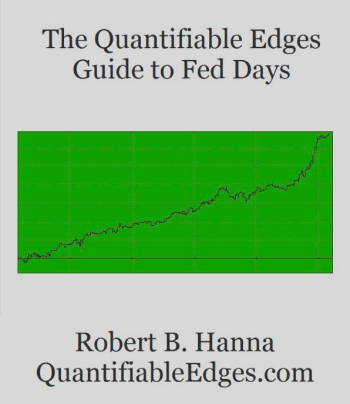 If you would like to learn more about Fed Days, numerous studies may be found on the blog, or you can check out the Quantifiable Edges Guide to Fed Days for download or in paperback.